Assalamualaikum and good day all! 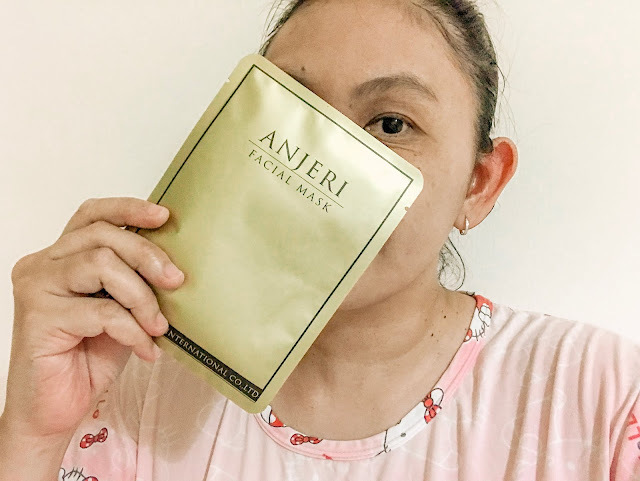 I wanted to share my first test with Anjeri Face Mask. 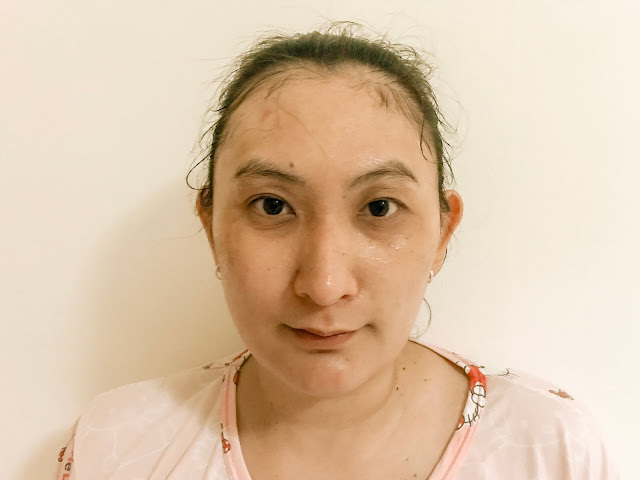 This would be my Jom Try Test entry and this would be an honest review from this first trial, from the heart. First and foremost, let me story a bit on this face mask and the brand. The Thai brand created by the founder Thanadon Yingsiriworakun, is super popular among the celebrities of Thailand and all over Asia. 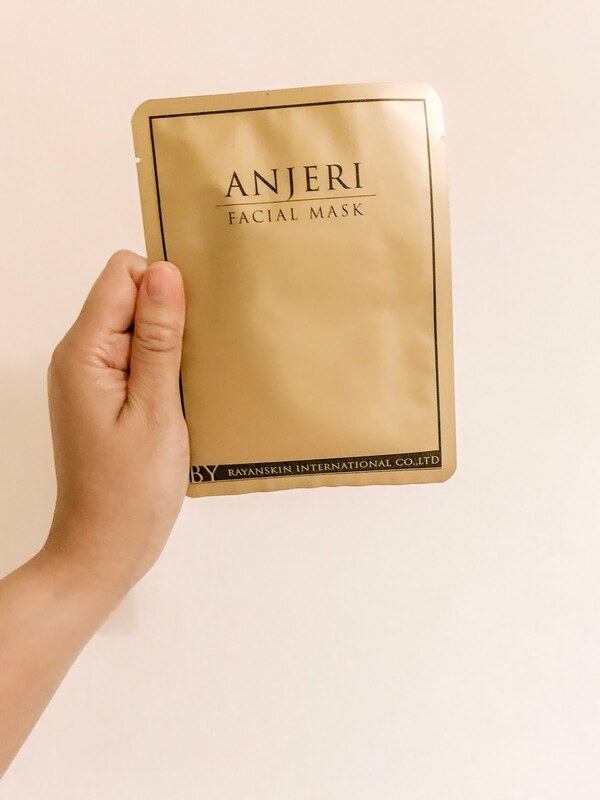 Anjeri Gold Mask is said to keep mature and aging skin looking youthful. The anti-aging and brightening ingredients are carefully sourced from the nature. Even the mask itself is made from silk. 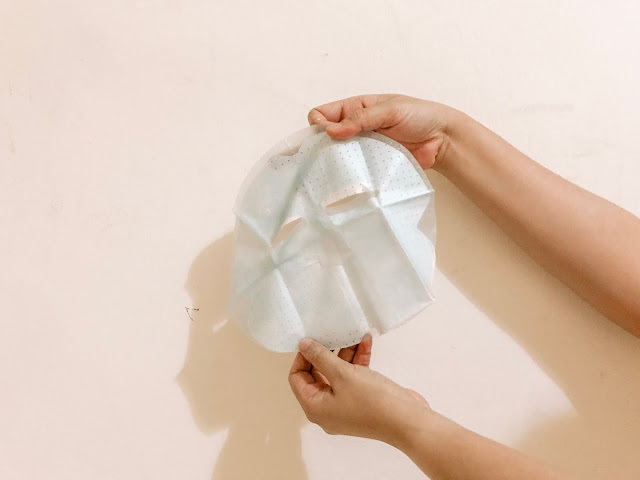 Can you imagine, putting a very rich in brightening and anti-aging ingredients onto your face, and instantly can see the results within 15 minutes after the mask had set. This feel amazing. Lets look at the mask shall we? Unlike the usual affordable mask that we can get at the drugstores, this one is super super super super thin and it is super super soaked with ampule. Hands down, i did struggled to hold this mask as i do not want to torn it. 3. Smooth the mask onto your face. Let it lay flat. To be honest, this mask really lift up my face and fading out the appearance of the lines on my face. No wonder the brand is really well known among the artists in Thailand and over SEA. 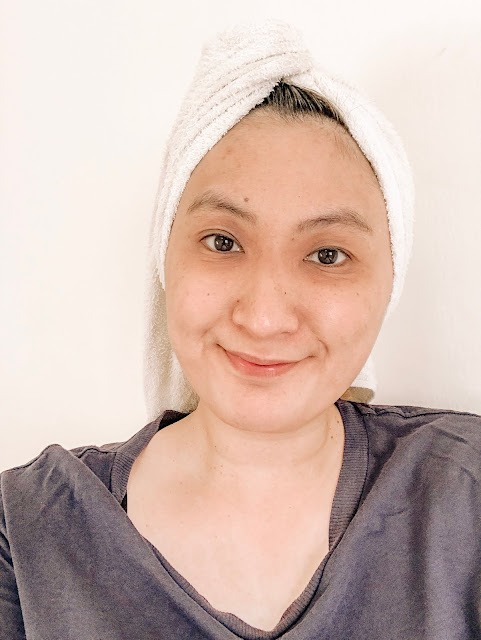 This was my face, right after i take out the mask, messy i know but look at that hydrated skin! I am amazed on what it could do just for 20 minutes! So far, with this first try, i did fall in love with this mask. Next i want to try their Silver Mask! It is said to have some some brightening and hydration in it. I really need those two as my skin can be categorized as dry skin.